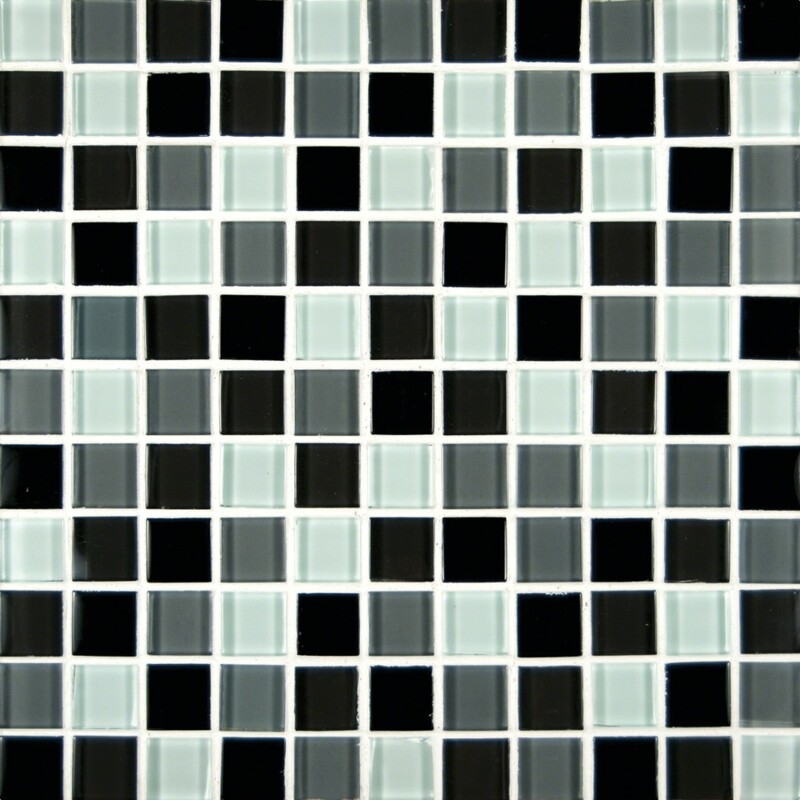 Black Blend 1x1 Mesh-Mounted Glass Mosaic Tiles. Black Blend Glass tiles add a dramatic statement to any wall or countertop in residential applications. The blacks, grays and white combine to create interest in kitchens and bathrooms. Black and white blend glass is a crystallized glass mosaic that can be used to complement bathrooms, showers, backsplashes, flooring, and fireplaces in a combination of designs to create unique looks. Make a statement by adding your creative touch using these decor items! So easy I thought it was a scam! Tiles arrived at my door much sooner than expected as well.